SETI, or the search for extraterrestrial intelligence is as popular now as it was 50 years ago. Today hundreds of millions of dollars are spent on technology that may one day bring us closer to detecting and understanding the communications of other worldly life. 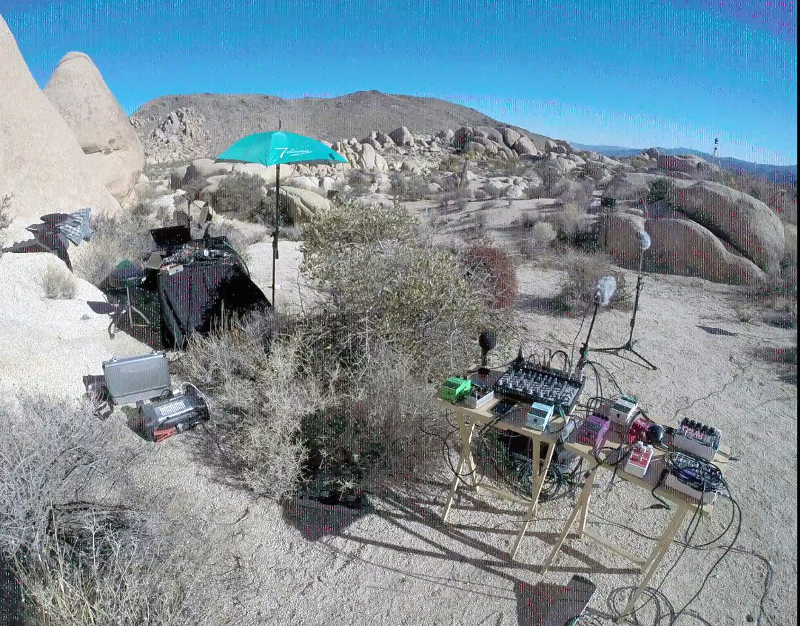 Popular assumptions aside, SETI and Xenolinguistics share many common ontological similarities with data analytical approaches and in December 2015 researchers from California and South East Asia embarked on a week long expedition into the California desert with the aim of exploring astronomical acoustics, geospatial sound modelling and quantum field interactions in the pursuit of answers. 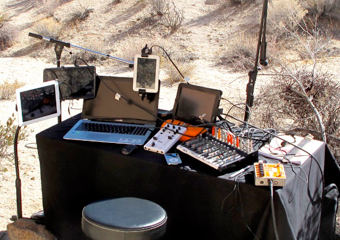 The images below show the setup of the week long experiment with sensitive audio equipment and a geospatial microphonics layout to model the acoustics of the landscape and the audio file is a sonified version of the stellar landscape pictured above which is a reconstruction of the skyward view from the location as depicted on nearby petroglyph images estimated to be many thousands of years old. Sonified stellar landscape which was used as part of the geospatial sound recordings. I have worked with the team before, led by Prof. Willard Van De Bogart, previously working for NASA and currently a languages professor at the University of Bangkok. Van De Bogart has a lifelong passion of Xenolinguistics (the art of understanding previously unknown languages) and he has worked in interdisciplinary fields with some of the most famous scientific and artistic minds of the past 100 years. An hour with him feels like a journey through the who's who of great minds. During 2015 I had been working on using quantum neural networks to analyse large sets of data from different sources that were known to have at least some common causal relationships. A particular focus of the research was creating predictive models for solar weather (solar flares). Solar activity has a very real effect on earth. It has the capability to inflict serious damage on both electronic communications and to a large extent life itself. The traditional process of solar weather forecasting is not for the faint hearted and traditionally involves gathering data from many sources and applying rules to try and predict the most likely outcomes. Whilst traditional analytics are often quite accurate, the techniques I applied for this project were very different, and it was these techniques that caught Van De Bogarts imagination. The above image are symbols generated by quantum compressed information depicting two sets of information. Information derived from stellar geometric patterns (left) and symbols generated from geospatial audio recordings that incorporated sub sonic frequencies generated from the raw stellar data (right). I am particularly excited by the technique employed. Using symbol systems to depict semantic geometric shapes and in turn use these to try and visually understand the relationship between two data sets is a sound principle. Indeed one which I had used with great success in predicting the cyclic causal periodicities in financial market data. 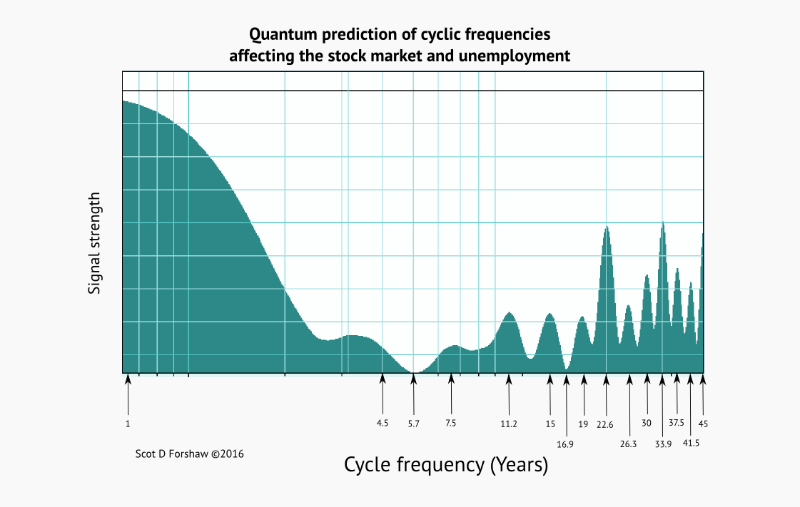 (see article Quantum Algorithm Identifies Every Major Financial Cycle in 45 Years). I look forward to seeing the write up for the California experiment and working with the team as they strive to learn more about what makes language such a powerful tool, and how in the future we might be able to identify and understand messages from distant worlds using advanced data analytics to analyze semantic geometric shapes. No matter what the outcome of such experimental approaches are, the results are most important in helping us understand how we think, understand and form semantic relationships in a constantly changing environment. For more information on the Toridion T-AV128 Quantum AV Encoder used in the experiment please see this page.